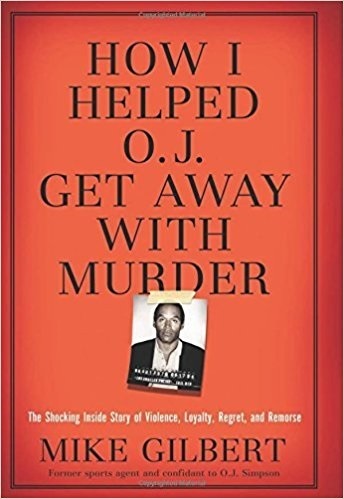 The 1995 trial of OJ Simpson for the murders of his ex-wife, Nicole Brown Simpson and her friend Ronald Goldman has been hashed and re-hashed in any number of books by those involved. Guilt or innocence is not at question in this book. This is the story of a man who had a friend named OJ Simpson. He worked closely with Simpson on a daily basis, organizing OJ’s personal appearances, autograph signing, and so forth. Gilbert admits that he believed OJ guilty, and states that he believes OJ said as much to him when questioned. This is the story of a man willing to do anything to help his friend because he loved OJ. It wasn’t that he wished to be cruel or spiteful, he was helping a friend. The systematic removal of valuables from OJ’s Brentwood home before they could be seized to help pay the judgments against OJ in the Civil Case that went against him is frankly discussed. In few places does Gilbert fail to disclose the frauds he was part of creating. He names names and confesses to any number of tricks and illusions used to hide assets, and he gives a possible reason that the gloves didn’t fit that also involved trickery. In the end, Mike Gilbert ended his friendship with a man that he truly admired and even hero-worshipped when it became clear that that man no longer existed. He ends with apologies to the Brown and Goldman families. All told, it is a rather sordid tale but frankly and openly related.